Little, Brown Books for Young Readers, 9780316070188, 40pp. In the twilight hours of Christmas Eve, a hushed world enveloped in moonlit snow waits for the soft tinkling of sleigh bells to announce the most magical night of the year. Then comes a thump on the rooftop, a scratching in the chimney, and suddenly--Santa Claus appears! 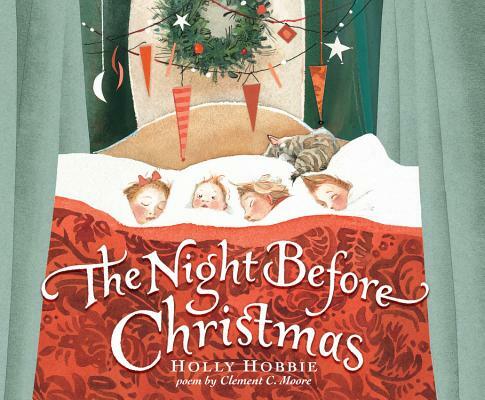 Holly Hobbie has worked as an artist for more than thirty years and is the author of eleven highly acclaimed Toot & Puddle picture books as well as Gem, Fanny, Fanny and Annabelle, and Everything but the Horse. She has also written an illustrated memoir, The Art of Holly Hobbie.